Between 2012 and 2014, Maine's healthcare and social assistance sector added more 2,000 positions, and the Maine Bureau of Labor projects continued growth through 2022. The state has a number of resources designed to connect healthcare professionals, including medical assistants, with jobs and continuing education opportunities. In some instances, grants and incentives may be available for those interested in working with rural populations in Maine. Those looking to a complete a medical assistant training program with a certificate or degree can take advantage of the state's numerous vocational schools and colleges located throughout the state that offer medical assisting programs. A degree or certificate in medical assisting opens the door for a career in the field. Graduates work in medical offices, hospitals, clinics and private practices, assisting physicians and working directly with patients. Many also go on to further their education in health care to take on leadership roles. It all starts with finding the program that meets your personal and professional needs. 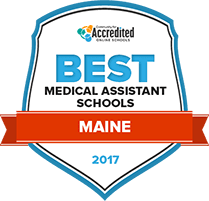 We’ve considered tuition rates, student services, student reviews, programs available and other factors to bring you our list of Maine's Top Schools for Medical Assisting in 2017. Let this list be your starting point to your new career. With a degree in medical assisting earned at Northern Maine Community College, students will be qualified for employment as a medical assistant at a hospital or medical clinic. This program focuses on the skills that employers in this field are looking for: competency in administrative functions, a knowledge of the human body, and an eagerness to assist in basic medical procedures. Should students want to transfer their credits from NMCC to a four-year school to continue their education, they will be able to do so, so long as they are studying in transferable courses. In the span of two years, students attending Washington County Community College can begin their path to achieving a career as a medical assistant by completing an associate degree in medical assisting. Graduates from this program will be able to demonstrate a proficiency in properly managing a medical office or clinic, monitoring vital signs of patients, and completing basic patient examinations. WCCC students may choose to live on the WCCC campus in state-of-the-art living facilities designed to facilitate academic focus as well as social engagement. WCCC courses are offered in several non-traditional formats, including evening courses and online courses. Students interested in receiving administrative skills to promote effective practices in various health care environments such as the office and laboratory may benefit from enrolling in the medical assisting program at York County Community College. Students are able to pursue their Associate in Applied Science while gaining area-specific skills needed to thrive in the field. Upon successful program completion, students can expect to be proficient in medical assisting strategies and procedures such as maintaining operations in the medical office, providing general patient care and applying medical terminology. Eastern Maine Community College gives students the opportunity to pursue an education in the medical assisting field. Courses are offered during the day and evening, with the exception of the practicum, which is offered during weekdays. Before enrolling in the program, student must first successfully complete Algebra I and Biology with lab. The program is fully accredited by the Commission on accreditation of Allied Health Education Programs, so students can be confident in the information they receive from courses. The program also boasts above-average graduate satisfaction, employee satisfaction and exam passage rates. Kennebec Valley Community College’s Associate in Applied Science degree in Medical Assisting provides students with the opportunity to complete theoretical and hands-on, laboratory experience to gain the credentials needed to work in the field. Medical assistant’s duties call for assisting health care professionals in the medical and office environment. Students can expect to learn skills spanning from office management, billing, and scheduling to performing physical assessments, gathering patient history, and testing biological specimens. The Commission on accreditation of Allied Health Education Programs grants accreditation to the medical assisting program at KVCC. At Central Maine Community College, those interested in medical assisting are able to learn about the field while gaining the skills required to work in various health care environments. The program is comprised of a sequence of courses that covers information such as laboratory protocols, administrative procedures and medical transcription. All students are required to complete a 240-hours externship, so students can gain skills through academic theory and hands-on application. Upon graduation, students may be eligible to work as medical office assistants, medical secretaries or transcriptionists in is various health care settings. The associate degree in medical assisting program at Southern Maine Community College allows students to study the field through comprehensive academic theory and hands-on practice. Since the duties of medical assistants depends on the work environment, this program aims to cover all daily tasks of professionals in the field such as taking vital signs, correspondence and scheduling patient appointments, receptionist skills and assisting with surgical procedures. The program is accredited by the Accredited Bureau of Health Education Schools, which ensures it covers the necessary information needed to work in the field. There are a number of educational paths to a career as a medical assistant in Maine, including an associate's degree or a certificate program. Use our search tool to locate a medical assistant program matched to individualized needs. Maine does not require medical assistants to be certified. The state specifically provides for the ability of physicians to delegate to activities related to medical care or treatment to support staff including medical assistants. The law specifies that the physician remains responsible for the patient care, regardless of the training or experience of these assistive personnel. The law also makes provisions for specialized care settings and outlines the training necessary to assist in these situations. What certifications are available ? Several national certifications for medical assistants are available to Maine residents who complete the necessary prerequisites. These often include holding a high school diploma or GED, relevant work experience, and formal education such as the completion of an accredited medical assistant program. Below is a list of the major national certification options for prospective medical assistants in Maine. Are there additional requirements for medical assistants? Although medical assistants in Maine are not required to complete a prescribed course of study, certain procedures require specific training. Medical assistants must be trained on the necessary equipment and informed of the appropriate safety measures for certain tasks. In addition, injections or the administration of any medication must be done "within a reasonable distance" of a licensed physician, in case of adverse reactions or other problems. Are there healthcare support tasks outside the scope of medical assistants in Maine? The Maine Board of Medical Examiners understands certain clinical tasks to constitute the practice of medicine. These tasks, such as diagnosis or prescribingmedication, are reserved for licensed physicians and, in some cases, nurses. Healthcare support tasks such as administering injections, performing laboratory tests, and venipuncture are all permitted activities for medical assistants in Maine working under the supervision of a physician. The following 2014 salary figures from the Bureau of Labor Statistics offer a comparison between medical assistant earnings in Maine and nationally. Medical assistant salaries in Maine vary slightly by geographic location. The chart below compares mean annual and hourly wages for each Maine's major locales. Maine's Department of Labor projects healthcare support jobs in the state will grow by 12 percent by 2022. In the past two years alone, the state's healthcare and social assistance sector added over 2,000 positions. Demographic factors, such as an aging population and trends in the healthcare industry, point to a continued need for allied health personnel. The table below compares projected job growth for medical assistants in Maine with expected national growth. All of Maine's major population centers offer educational opportunities for those starting a career as a medical assistant. The growing prevalence of online classes and flexible, self-paced degree programs mean a career as medical assistant is accessible even those currently employed in other fields. In this Maine school spotlight, see what Eastern Maine Community College offers aspiring medical assistants. Maine Adult Education is a clearinghouse for adult and continuing education courses. Offerings include healthcare, workforce, and computer skills training. Search the site by course subject or field, review costs, and sign-up for courses all in one location. A program within the University of New England, the Maine Area Health Education Center's mission is to increase access to healthcare in rural areas by supporting the training and development of committed healthcare professionals. They offer a number of informational sessions, shadowing opportunities, and resources on health careers in the state. The Farmington and Presque Isle center in particular have programming related to medical assistants. Maine Health is a large network of non-profit health centers across the state. The site not only offers listings for job seekers, but also contains information about various career options and general information about living in Maine. You can register to attend one of their many regional recruiting events or talk with a recruiter directly. Maine is home to three chapters of the American Association of Medical Assistants. 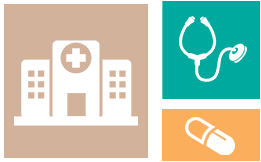 The MSSMA offers a number of resources for Maine medical assistants, including an annual conference and other continuing education opportunities. RHIH provides information about healthcare opportunities in Maine's rural areas. The site has a robust list of resources with links to programs and institutions of interest to those pursuing a career in medical assisting. It also lists funding and grant opportunities for individuals seeking careers in healthcare and health support occupations.